← 2019 is off to a Great Start in the Senior Classroom! The Heineken Cup Visits Wandesforde! 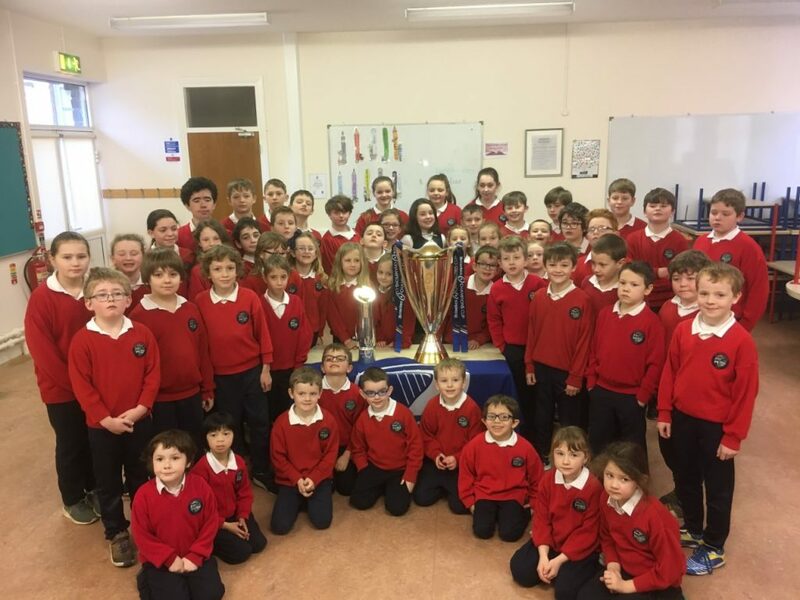 On Monday, 4th February, we got a surprise visit from our rugby coach, Noel Devlin who very kindly brought the Heineken Cup to our school. The children all got the opportunity to look at the cup which is 22 kilogrammes in weight! Thank you Noel for bringing the Heineken Cup to our school!